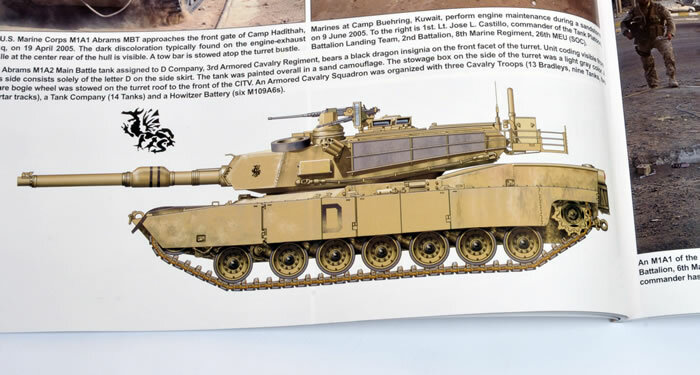 Good collection of photos; concise and affordable reference on the M1 Abrams. 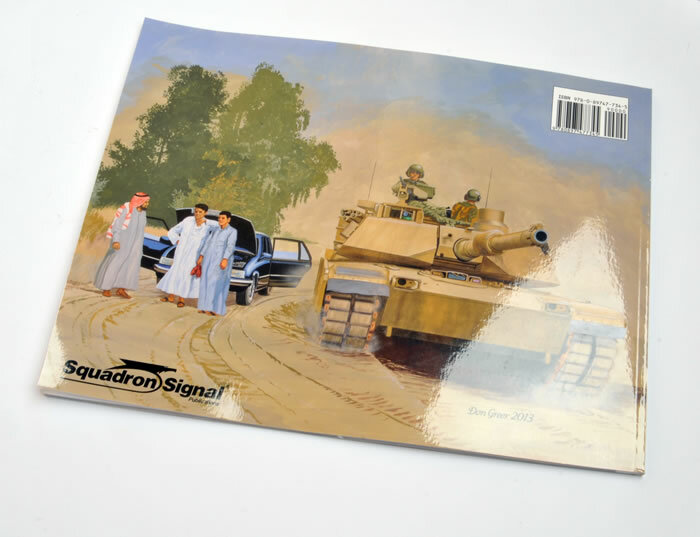 We are all quite familiar with Squadron Signal Books, and it would be safe to say that most of us have some of their publications in our own collections. 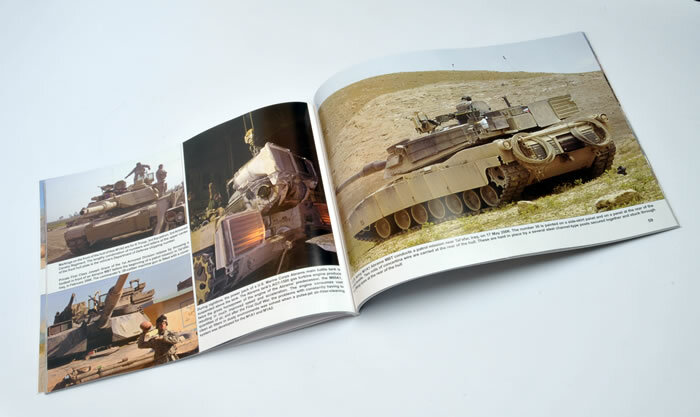 I was very happy to receive this new release covering the Abrams Tank, with the majority of photos being in Iraq or Afghanistan. 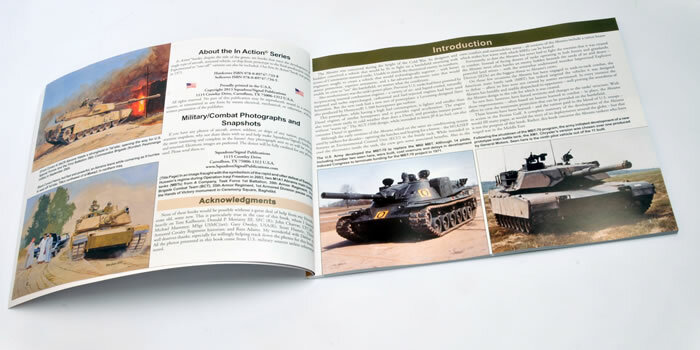 The book is written by David Doyle and is presented in Squadron’s usual landscape format, with high quality glossy cover and photos with a total of 80 pages. The front cover work is done by Don Greer, that we all admire for his fantastic works as is the back cover. There are a total of 223 photos, the majority in colour, with only a few in black and white. 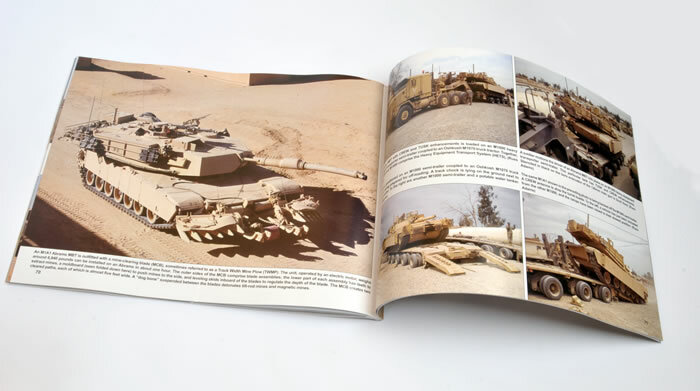 As mentioned, most of these are of vehicles serving in Iraq and Afghanistan, with many not been seen before, including some of vehicles destroyed both in combat and by IEDs. The captions for all pictures are very informative. 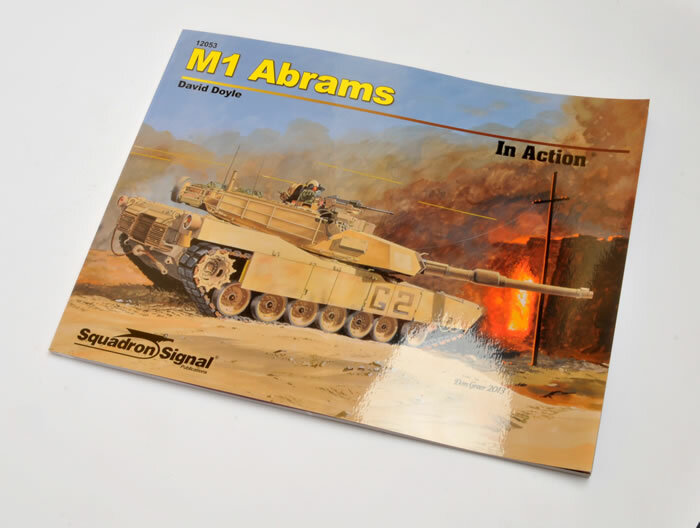 Being a big fan of modern subjects, I highly recommend this great book to all, and look forward to future editions from Squadron Signal.